Doctor Who-mania is currently in full swing with fans eagerly anticipating 2014, the Year of the Who, which is the 50th Anniversary of the British science fiction television show. Think about that for a moment— a show that, except for a (mostly) dormant hiatus in the 90s and early 2000s has been running for 50 years. My introduction to The Doctor happened in that colorful pop culture explosion known as the 1980s. My parents couldn’t afford cable or even an elaborate television set. We got about five or six grainy channels if the antenna was leaning the right way. I immediately loved the show and when the season ended I was thrilled to find out that PBS would fill in the time slot with reruns of episodes from previous Doctor Who seasons, going all the way back to the 60s. My new favorite Doctor was number three, a dapper and distinctly British Jon Pertwee. I had little use for telling time at that age, but I made sure I was parked in front of the TV when an episode of Doctor Who was on. 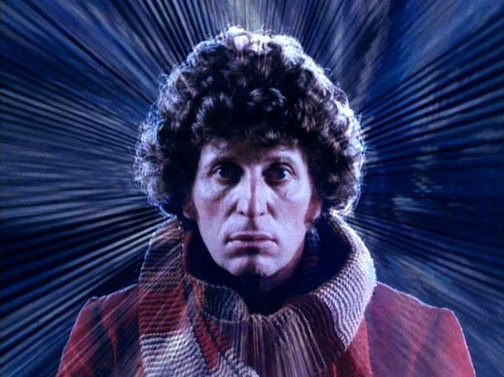 I watched in amazement as Tom Baker regenerated and turned into Peter Davidson. I remember seeing a couple Colin Baker episodes, but that is right around the time that either I or PBS fell out of touch with the Doctor. I caught up on some of these episodes years later when I found videotapes someone had recorded the episodes on at a thrift store. When I felt like an outsider amid my schoolmates, like an unappreciated geek, I pretended I was The Doctor and that the setting in front of me was an inconvenient shithole where I had accidentally landed the TARDIS. I thought a lot about outsmarting cruel space aliens and travelling through space and time with attractive British women. When Doctor Who was revived in 2005, I was hopeful but skeptical. To paraphrase Allen Ginsberg, I had seen the best pop culture artifacts of my generation destroyed by rehashed madness. I was greatly relieved to see that they had updated the show but had captured and even enhanced the tone of the original. Doctor number 11, Matt Smith, has given an enjoyable performance. I, like the many other Whovians out there, look forward to what time and space have in store for the wayward Time Lord for the rest of season seven and the big celebrations next year. Tea Krulos will be reviewing new episodes of Doctor Who at Forces of Geek starting next week. Posted on March 26, 2013, in Uncategorized and tagged doctor who, forces of geek, jon pertwee, matt smith, TARDIS, tea krulos, time lords, tom baker. Bookmark the permalink. Leave a comment.